Well it's Friday again and time for Fussy and Fancy Challenge #143 Beach Fun hosted by lovely Gina..... As I am sat making this card we are in the middle of a bit of a heatwave here in the Uk ...... it has been hotter here than in the Mediterranean ....so the beach is really the best place to be. I have used some Creative Expressions stamps and some inking techniques to create my background. 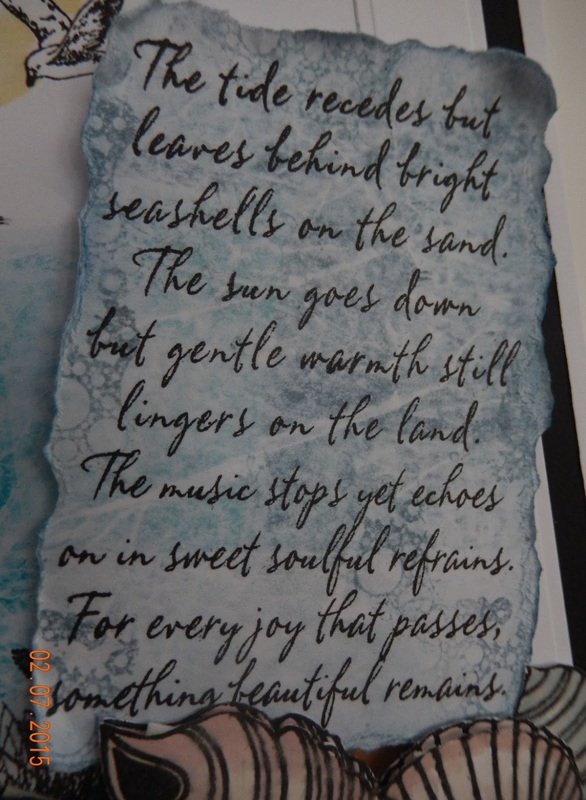 Next I stamped the text (an inkylicious stamp) I had found onto a separate piece of card which I had prepared with a watery background, I tore the edges and inked them. Then I found my favourite Clarity shell stamps .... which I coloured and cut out a couple of times so that I could decoupage them up. 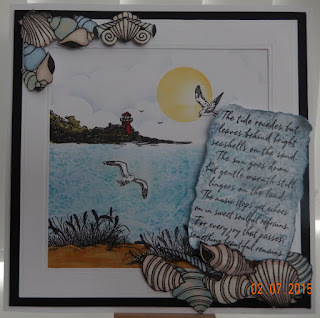 We really would like to see your Beach Fun projects ...what ever you enjoy making, it can be a card, a mixed media canvas or boxes or other 3D project ..... surprise us. 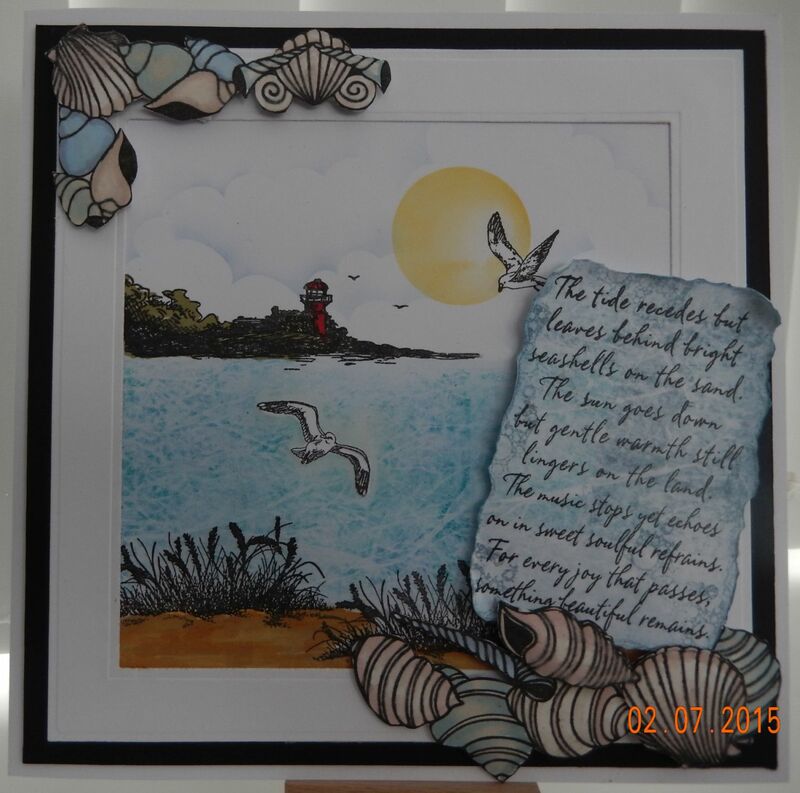 You may like to use a digi stamp from this month's sponsor Sherri Baldy, you will find details of how to upload your work here. The winners are selected at random so that everyone has an equal chance of winning. This is stunning Annie! 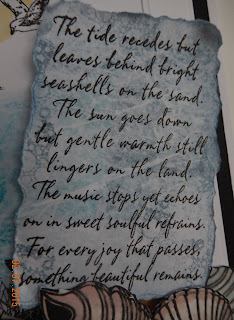 I love the gorgeous scene you've created and the beautiful sentiment, perfect torn edges! So happy to be working with you on the F&F DT! I love your sea and the colours you have used and of course you know I am a fan of all things Clarity.